Keep in mind that things like raking leaves, carrying heavy groceries, doing heavy housework, and a brisk walk (2.5-4 miles per hour) can all be included in the activity that you count. Just don't include things that are not at least moderate intensity. The guidelines state, and I totally agree, that "Being physically active, is one of the most important actions individuals of all ages can engage in to improve their health." If you have any questions about exercise, please log into your account and send us your question. We are here to help. A family doctor can be your first point of contact within the healthcare system. If you have a medical need that comes up quickly, such as an unexpected rash, flu-like symptoms, or strep throat, your family doctor can be your go-to choice for treatment. Far too many Americans use an urgent care center or an emergency room for problems like this. It is much more cost effective to see your family doctor. Most family doctors do set aside a certain number of appointments each day to be filled on the same day by patients who need to be seen for unexpected illness such as this. A medical emergency would of course be an exception to this. If you have a true medical emergency, you should go to the emergency room. Family doctors follow patients through the full cycle of life. Family doctors love seeing small children and elderly patients, and everyone in between. Sometimes a family doctor will start seeing someone as a small child, and keep seeing them throughout their life, even seeing their children and maybe even grandchildren as time goes by. Because they can treat a wide range of medical problems, they are the perfect doctor to see you at any time of your life. When you have a doctor-patient relationship over many years, or even a lifetime, you can really build a meaningful relationship. This relationship is important in many ways. Family doctors do more than you think. 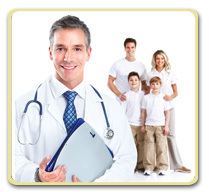 Family doctors are trained to take care of many different conditions. A family doctor can help you to manage diabetes, heart disease, arthritis, common skin conditions, kidney disease, high cholesterol, thyroid disease, and many more chronic diseases. They are also very experienced at managing the combination of all of the conditions that a patient might have, rather than only using specialty care, where you need a different doctor to manage each problem. A family doctor will treat the whole patient, even treating depression, anxiety, and other mental health problems. A family doctor can help you to quit smoking, or help you to lose weight, and can help with many other lifestyle or social issues. Most family doctors do minor surgical procedures in the office, like removing warts, doing a biopsy on a mole that might be malignant, sewing up cuts, injecting cortisone into a joint, and many other minor procedures. This can save you an expensive trip to a specialist. Your family doctor knows you own personal history. Over time, family doctors get to know patients very well. They know your chronic medical problems and how that affects anything new that comes up. They know how you have reacted to medications in the past. They know how stoic you are, so that when you come in with a complaint, they might take it more seriously than a doctor who doesn't know you. Or maybe they get to know that you are a little anxious about your health, so they don't blow something out of proportion, but provide more reassurance when that is necessary. They also can watch for changes in your condition over time, and might pick up on a change in your health quicker than someone who doesn't know you well. Your family doctor knows your family history. When a doctor is seeing multiple generations in one family, this really helps them to know your family history well. Even if they are not seeing other members of your family, they make it a priority to get to know your family history and how that impacts your health needs. Family doctors can help to coordinate specialist care. If or when you need to see a specialist, your family doctor can help you to find a specialist who fits your specific needs, and even your personality. They are also good at coordinating care with multiple specialists. For instance, your family doctor can monitor the medications given to you by different specialists to assure there are no interactions or duplications. Family doctors can save healthcare dollars. There is plenty of evidence that using more primary care saves money for a healthcare system. This is certainly something that we need in this country. Studies show that an increase in primary care spending leads to a decrease in overall healthcare spending. Family doctors can improve lives. Most importantly, there is evidence that family doctors offer your family better overall health, and isn't that what we all want for our family? If you have any questions about family doctors, please log into your account and send us your question. We are here to help. We have talked quite a bit over the past two weeks about the basics of sleep physiology, as well as how sleep deficiency impacts both your physical and mental health, as well as your performance and productivity. I thought that today we could review several strategies to help you get the sleep that your body requires. The first thing that you need to do is to make sure that you allow yourself enough time to sleep. That sounds simple enough, but in our busy lives these days, sleep seems to be the first thing that we squeeze out of our schedule. Make sure that you, and your children, are not overscheduled. You should not only make time for enough sleep, but also make the time to wind down and relax prior to sleep. Try to maintain the same daily sleep schedule. Go to bed and wake up at near the same time every day, preferably within about 30 - 60 minutes. This includes weekends as well. Staying up more than an hour later, and sleeping in on the weekends can cause the same reaction as "jet lag" in your body. Children should definitely have a set bedtime, and a set bedtime routine prior to lights out. Use the hour prior to bed to wind down. Avoid strenuous exercise during this time period. Dim the lights. Avoid using a computer or staring at any screen during this time period. Remember that your natural production of melatonin depends on the decreasing light. During this hour before bed, do something that relaxes you, such as listening to music, reading a book, etc. Maybe take a hot bath or practice some relaxation techniques. Use the night shift setting on your smart phone to adjust the light from your phone in the evenings. Do not eat a heavy or large meal within 2 hours of bedtime. A light snack is fine if you want. Also avoid alcohol during this time period. Alcohol can make you feel drowsy, but it really interferes with the quality of your sleep if consumed too close to bedtime. Avoid caffeine or other stimulants for several hours prior to bedtime. Avoid nicotine, in any form, within at least a couple of hours prior to bedtime. 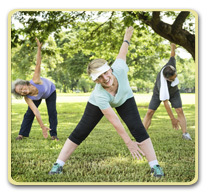 Maintain a regular exercise program with some physical activity every day. Just remember, no strenuous exercise just before bed. A low impact walk after dinner is a great idea. Spend some time outside every day when possible. Try to keep your bedroom as dark as possible during sleep. If you need a dim night light, that is ok, but avoid any blue lights, or bright night lights. If you use a digital alarm clock, make sure you can turn off the lights, including the time, when you are sleeping. If you can't turn the lights off, cover the clock with a cloth or put it in the drawer of your night stand. Keep your bedroom as quiet as possible during the night. Turn off phone notifications, except for emergencies. Control the temperature in your bedroom. Studies show that between 60-68 degrees is the ideal sleeping temperature. For adults, remember that naps do not replace lost night time sleep. Adults should not nap for more than 20 minutes a day, and if you do nap, it should be midafternoon, around 2-3 p.m.
Preschool age children SHOULD nap. This helps promote healthy growth and development. It also helps them to sleep better at night. When children are overtired, they don't sleep as well. Avoid "working" in your bed, such as using a laptop or tablet to read email, or work on presentations, or other activities like this. You want your body to associate the bed with sleep. You do not want to train your body to stay awake in bed. Children and teens should not have a television in their bedroom. Their desk and computer should ideally be in a separate room as well. Remove cell phones from their bedroom at night. If you are a shift worker, or a teen who has an early school start, all of the above are even more important! If you have to wake up when it is dark outside, consider an alarm clock that gradually lights up the room during the 30 minutes prior to the alarm sounding. Keep the lights bright to maintain alertness during shift work hours. I hope that these tips will help you on your way to getting a better night's sleep, and improving your overall health. 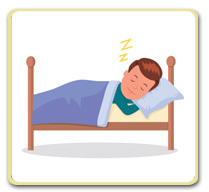 Here is a link to "Your Guide to Healthy Sleep" provided by the National Institutes of Health https://www.nhlbi.nih.gov/health-topics/all-publications-and-resources/your-guide-healthy-sleep. If you have any questions about the importance of sleep, please log into your account and send us your question. We are here to help.